The BCW Stor-Folio is a drop back portfolio box. It is a sassy, transportable, comic book storage device. 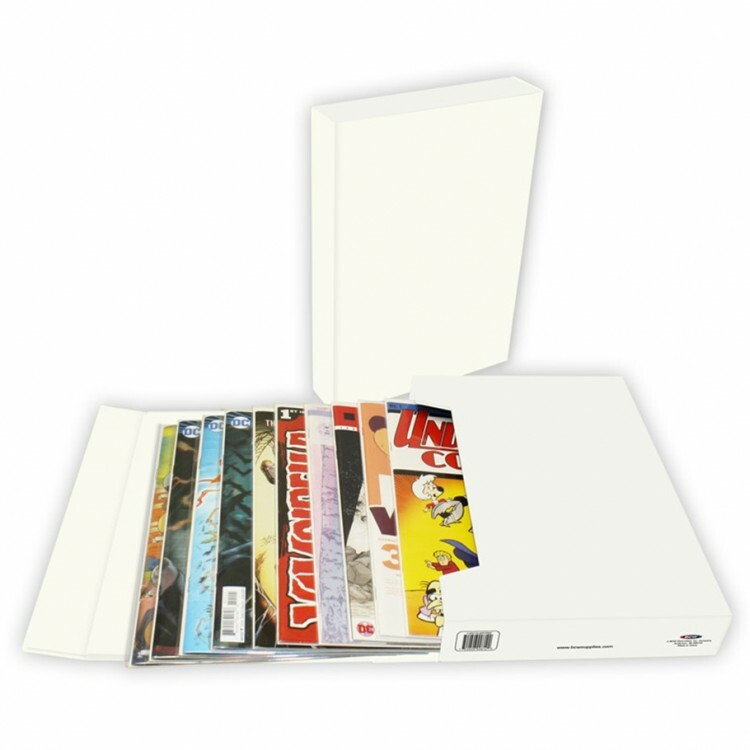 The Stor-Folio will hold up to 15 bagged and boarded comic books, or up to 20 loose comic books. The Stor-Folio can be shelved in a book case, or carried in your backpack to safely transport your comics to your favorite comic book convention. It features a secure magnetic closure. It is easy to open, but will not accidentally unfasten. The outside dimensions are: 8 x 11 x 2 inches and will hold about anything up to 7½ x 10 ¾.